Michael won the title of One Young CA 2018. He is now Group Financial Controller at DPS Group. 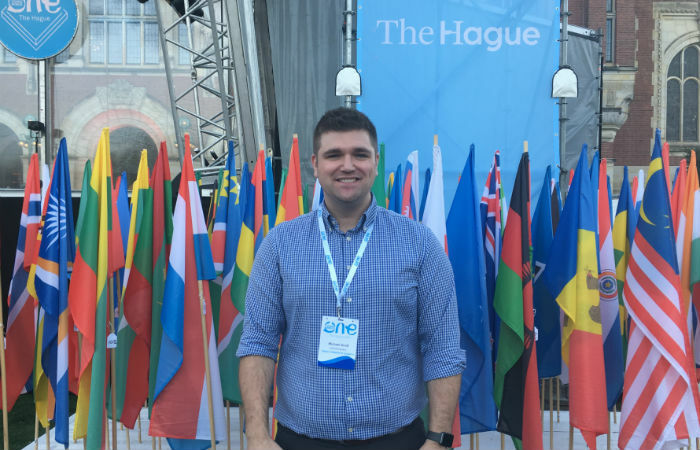 Being One Young CA has allowed him to connect with change-makers from all over the world to inspire his own leadership. As we welcome nominations for the ICAS Top Young CAs 2019, Eleanor O’Neill spoke to 2018 One Young CA Michael Scott about the award’s influence on his professional growth and perception of what it means to be a CA. Michael moved into a new role at DPS Group as Group Financial Controller in October 2018, just four months after being named One Young CA at the ICAS Young CAs Summit in London. “The move from practice into industry was inevitable for me,” he admitted. 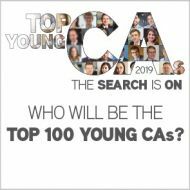 “That progression was a career goal I had been working towards for some time and the experience of being in the 2018 Top 100 Young CAs, let alone named One Young CA, instilled a greater level of confidence and self-belief. Representing Young CAs and the vision ICAS has for the next generation has provided an opportunity to engage, listen and learn from fellow CAs working at all levels. Michael has always maintained that he did not expect to win the award last year and holds his fellow CAs in high regard. “’CA’ is a sincere mark of an ethical, trustworthy, well-educated financial professional. It is an identity to be proud of and the role of One Young CA is a significant responsibility. He was able to stand as an example of that reputation himself by representing ICAS at the 2018 One Young World Summit in The Hague. “I am grateful to ICAS beyond all measure for the opportunity to attend such a powerful and inspirational event. Without a doubt, it readjusted my perception on important issues and changed my overall outlook on life,” Michael said. I have had the privilege to learn in real terms how CAs are contributing to sustainable changes within their local communities and across the world. Michael acts as Treasurer on the Board of Trustees for Fife Gingerbread, supporting vulnerable families in his local community, as well as working with HCPT The Pilgrimage Trust, which organises and facilitates spiritual retreats abroad for disabled and disadvantaged children. Social equality and development are causes that Michael believes CA skills can make an invaluable contribution to. “Representing Young CAs and the vision ICAS has for the next generation has provided an opportunity to engage, listen and learn from fellow CAs working at all levels,” he explained. “I am delighted knowing that in addition to the high ethical standards, professional competence and technical ability expected from ICAS members, there is also a growing emphasis on social awareness, charitable causes and community spirit. Nominate someone you feel would make a fantastic role model for Young CAs. Put yourself forward and celebrate your own success, passion and dedication. With such a high opinion of the standard and potential of his peers, Michael shared what he foresees in the next One Young CA. “Someone who is redefining the profession and using the designation to impact their communities and wider society,” he stated. “CAs are changing the world - there is a real sense of love and passion for making a positive difference in the world. “The competition process is an opportunity to engage with ICAS in a way you likely haven’t before. It will build on your confidence and the key leadership skills that will help develop your career.